A clear sky. Low around 55F. Winds SSE at 10 to 15 mph..
A clear sky. Low around 55F. Winds SSE at 10 to 15 mph. 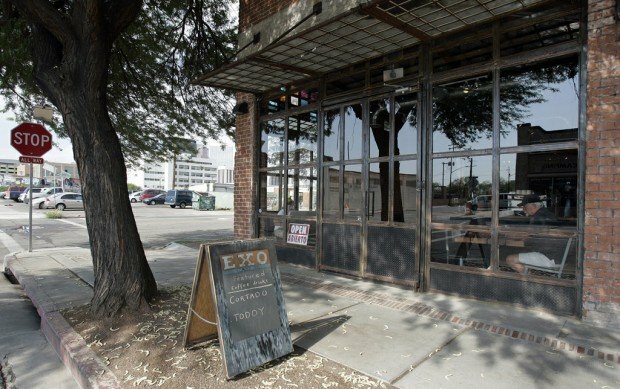 Don't look for a big, flashy sign for Exo Roast Co. on the front of the glass-and-red-brick warehouse at the corner of Sixth Avenue and Seventh Street. "It's like a speak-easy," says attorney Christopher Byrne, one of the owners. Cat Strong, senior children’s librarian at Nanini Library, says story time events employ a variety of activities geared toward laying the foundation for children to be future readers. Melisa Bohlman, with both the Pima County Bike Ambassadors and Pima County Public Library, staffed a Bookbike at a Cyclovia event in April at Santa Rita Park. It's time to unplug, disconnect and take some time to read, write, sew, draw and play at All Day Analog, a full day event dedicated to all things analog. Planned activities include storytime for kids, acoustic music by The Determined Luddites, hand-lettering demos, a visit from the Bookbike, love-letter readings and a chance to write your own, live print making, how to carve your own rubber stamps and bookmaking demos. "So much around us is digital," said Lisa Bunker, social media librarian for the Pima County Public Library and one of the event's organizers. "It's a refreshing experience to be able to actually touch the paper you're typing on and the guitar strings that you're playing on and the block that you're printing with. It's a very different experience from the digital forms of creation and we want more people to be able to experience them." The event coincides with the one year anniversary of Analog Hour, which happens on every third Sunday of the month at Exo Roast Co. and Tap & Bottle. The timing of the event is notable on the library side of things because it's a week in which libraries all over the country are doing "novel kinds of programming that take the library outside of its walls" as part of a national initiative called Outside the Lines, which gets libraries to rethink what they can do outside their building, Bunker said. Where: Exo Roast Co., 403 N. Sixth Ave.
Click below to add to your calendar. 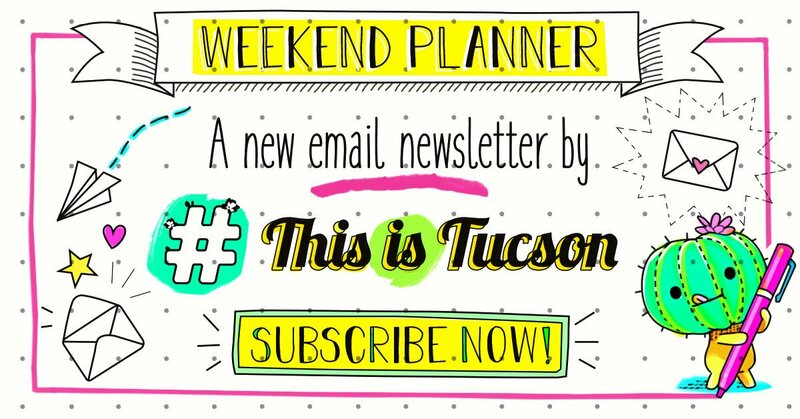 Relax, craft, read, draw or do anything analog, as well as participate in one of the many events. Get the book for $20 and save up to $400 going to fun places with your family. New month, new to-do list. Sometimes you just want to grab the kids and get out of town, even if it's just for the day.